Wired Magazine is a full color monthly American magazine and online periodical that reports on how technology affects culture, the economy, and politics. The magazine has many loyal readers especially after it started printing agenda oriented articles. The magazine’s website can be reached here, where visitors can see what Wired is all about and also subscribe to its copies. 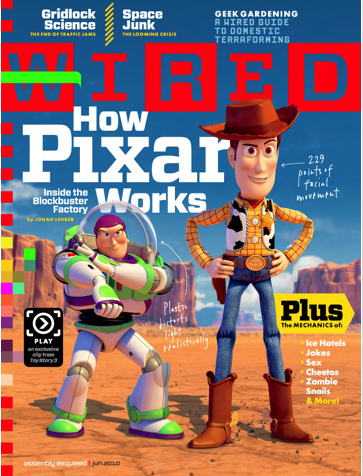 For some time now there had been news that Wired Magazine will be releasing an iPad version of their full color magazine. That rumor was confirmed in November and materialized in February when the app was demoed and it was revealed that its platform would be Adobe AIR. It was surprising to many users that an Adobe assisted application was running on such an overtly anti-Adobe platform. Now, to many people’s joy, Wired Magazine’s iPad app is publicly available. The magazine app contains a lot of interactive content that takes full advantage of the iPad’s large screen. Slide shows, maps, videos, and music are few of the things the app contains. All of this comes in a massive download package of 527MB which can be gotten from the App Store now.